So! With that I am signing off until Friday. I'm not leaving you without some inspiration first, so I've blogged a few posts already, including Etsy Take Five Tuesday. 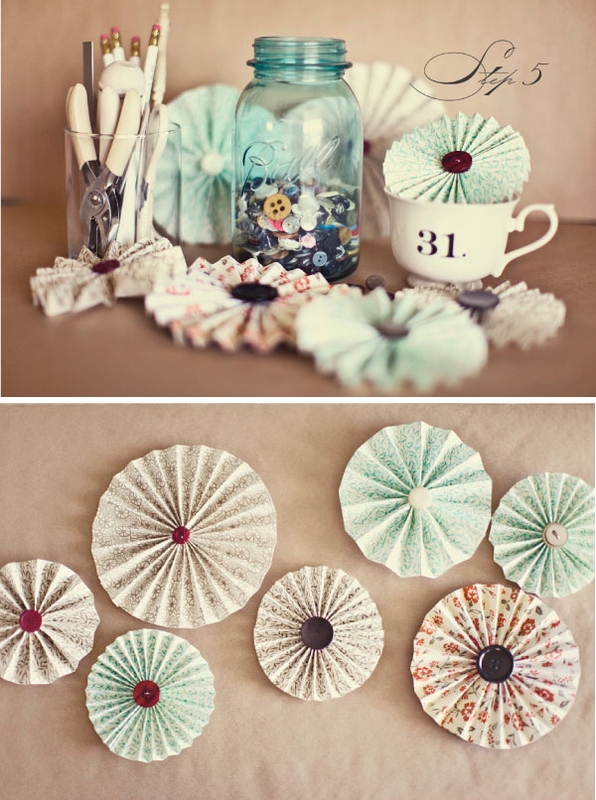 DIY Pinwheels from Style Me Pretty (shown pictured above, project here). Now I can say I've moved by me. Nicola is busy setting up her new apartment in Germany, too. Gorgeous gray room inspiration at Canadian House & Home (if you can endure all the annoying pop-up ads!). Emma's pretty new bedroom in Stockholm. Tea towels from To Dry For. Soon to visit Istanbul? Check out PukkaLiving! A Danish clothing line I'm currently loving... Graumann. And by the way, thank you for going on this journey with me as I've relocated from America to Europe. It's so special to have those whom you've grown to know well enough online to view as friends to share this life change with. You've all been so supportive and encouraging along the way so thank you for that and well... I'm off! See you in a few days on Friday.